Game Ads banner requires iframes. Guild's Eye View: Does Size Matter? The old adage is that bigger is better, that size indeed does matter, at least in some instances. In today's Guild's Eye View, Sean Stalzer puts that adage through its paces when it comes to raids, dungeons and the size of the groups required to beat them. Let us know what you think! The ongoing premise of this column is that strong communities are the lifeblood of MMORPGs. The more things that game developers can do to reinforce, strengthen and grow their communities the better their game will do over the long term. I also believe that communities are all about building personal relationships. Each relationship that is formed is like a strand of a spider web. The more that you form the larger and stronger the overall web and the more storms it can weather without falling apart. I also believe that one of the key ways to establish, grow and strengthen personal relationships is through shared experiences. There were MMOs, of a sort, before Ultima Online but for many gamers it is what they think of when you talk about the birth of the modern, MASSIVE MMO. The idea that 100,000+ people would come together on just a few servers was largely unheard of. In those early days, there was no true "end game" content as it is defined today but there was a great deal of PvP. One of the memories many people from those early days have is the "Server Down" message. Roughly 30minutes before the server was to be rebooted in the morning, a message came up. Once that message was seen, anything you did no longer mattered. The last save was done and everything would revert to before that message. As such, dozens (sometimes several hundred) players would converge on a spot on their shard that everyone just seemed to know about. On Atlantic it was often outside Covetous. For that half an hour, it was a no-holds barred massive rumble. With no size restrictions, anyone that wanted to be there could be and that resulted in a large number of personal relationships forming, some of which are still around today. Then along comes Everquest and during its evolution as a MMO, the concept of Raiding was born and part of the definition of End Game content that we think about today began to take shape. 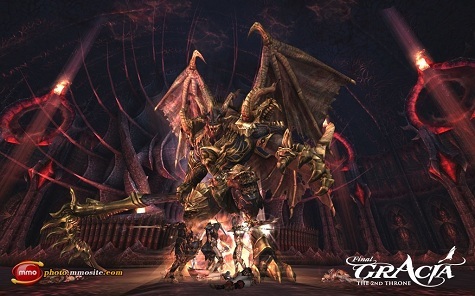 That first evolution of raiding saw groups of players banding together to take down bosses that were unimaginably powerful, relative to each of us as individual players. That is pretty much what raiding is today but the big difference was you could take an unlimited number of people to your raid. While the content was designed for groups of a certain size (and that size grew and changed over time) you could take 50 people or 150 people if you wanted to. Setting aside the logistical challenges a second, what that meant was that you could once again form massive numbers of personal relationships that were reinforced through epic shared experiences. The key difference between this format and what happened in UO was that everyone in your raid was on the same side working towards the same objective and you could pick who those people were. So the idea of massive scale interactions evolved in a positive way. For anyone that did experience that content, you know what happened next. For the rest.. you probably cringed at the idea of 150 people in one small space facing a single boss. So did the developers. Balancing and tuning the content became tough and dealing with lag became tough. So the next step in the evolution was taken. Raid size was limited to 72 people. As large as that sounds, by today's standards, it meant many groups had to excluded people. Some guilds actually kicked people out to get to that raid size. 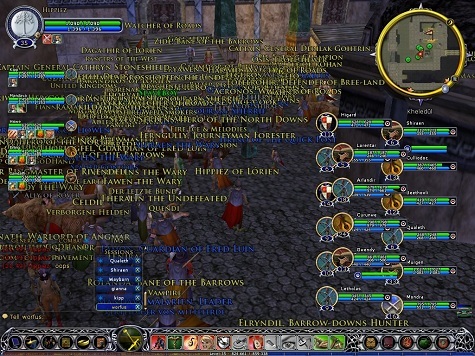 As MMOs moved forward, the 72 people limit was going to look massively large. WoW launched with 40, then it went to 25, and in Cataclysm it made the 10 and 25 content identical (same loot; same achievements; same lockout) effectively saying there was no "need" for 25 people so just go with 10. Most other modern MMOs have comparable sized end game content. Rift is a rare example where truly massive "Early UO" style battles can and do take place. For the most part, the trend is "smaller" content. From a Personal Relationships standpoint, the practical ramifications are that the average guild size has grown smaller. While there are definitely exceptions, on every server in every game, the vast majority of guilds are less than 50 people these days and many are even smaller than that. There is certainly a case to be made for "I love my small guild! we are all friends!" and that is not a bad point at all. However, from a Community Stability standpoint, the more personal relationships that you have, the stronger your spiderweb and the less you are impacted by the storms that will come up. Smaller groups means that when the main tank or a key officer leaves, things can and often do implode. Small groups means that when a personality conflict erupts and some people quit, the team could be too weakened to continue. Drama has a much bigger impact on the stability of smaller groups than on larger sized groups. There is a major difference between having 15 active members and losing 5 of them than having 50 active members and losing 5 of them in terms of your ability to provide a positive experience for your members. 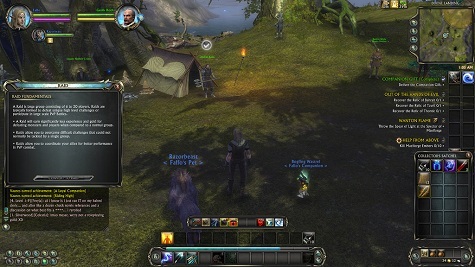 Additionally, if the end-game content limits participation to small groups of players then that adds complexity towards creating and maintaining a larger guild. Again, there are guilds succeeding at being larger in size and juggling the smaller content offerings every day but the vast majority of guilds are small in size; often sized "just right" for the content offered at the end game taking into account their members play schedules. WoW once again provides us great examples of this happening. Before WoW came out, there were many large guilds posturing on the forums about WOW. When the game launched and raid content was going to be limited to 40 people; many of those groups hemorrhaged members as those on the fringes of their raids realized they needed to to elsewhere to get regular spots. When content reduced to 25, the same thing happened again. The point of all of those historical examples is this: Generally speaking, guilds will size themselves proportional to the size of the end game content available to them. It is much like how a plant will grow to the limits of its pot. So, when the end game content allows a small number of players to participate, guilds stay smaller, in general. Thus, there are less people to meet; less people to have those shared experiences with; and thus player's personal spiderwebs stay smaller and more fragile. When the inevitable issues come up, the spider webs will snap more easily thus impacting the player; their guild and that game's community. So larger end game content is better... right? Perhaps not... once again WoW gives us some great data to look at. So far we have looked at this from the perspective of the plethora of gigantic guilds "devolving" into smaller entities as the end game content of MMOs got smaller. There was a whole other side to this history. Millions of people got into gaming when raids were 40 people large. To those people, 40 people was a MASSIVE wall they had to climb. That is one of the primary reasons that raid content has continued to get smaller: To make it more accessible to more people. So the reverse was true for them.. larger was bad. Smaller was better. The large content was inaccessible to many players so they simply had no (or very few) epic personal experiences to share with their friends. So in the same way large groups were having smaller and smaller sized pools of shared experiences and being impacted by that; new players to the genre were, generally speaking, having a difficult time getting to the critical mass to have those shared experiences in large quantities too. 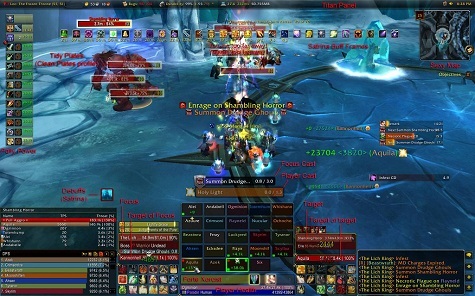 Early WoW statistics posted by a developer on their forums showed the miniscule percentage of players that actually raided in the original incarnation of the game. Sooooo many people were excluded that content had to get smaller in order to allow them to have shared experiences. So smaller is better... right? My opinion is that the real answer to those questions is that neither smaller nor larger is correct. There is also no Goldilocks size that is "just right". Instead, the answer for Raid Size is the same answer that works in many other areas of MMOs and in life and that is: Player Choice. Giving people options and allowing them to fashion their own experience from those options results in a pretty good result, in my opinion. 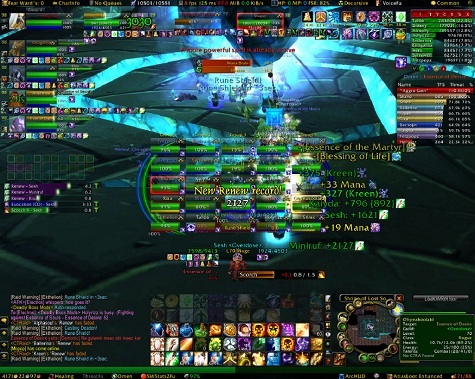 In terms of raiding, that means the need for current MMO 'technology' to evolve. By evolve I mean it needs to develop into an engine that can scale the content based on the size and skill of the group that is attempting it. The idea being that whatever size force you bring (within whatever limits the current state of that technology requires.. but the 'ideal' goal being no limits at all) the content scales to give you an equivalent level of challenge and equivalent chances at upgrades. That model would allow groups to grow to the limit of their ability to create, grow and maintain personal relationships... rather than having the number of personal relationships limited by the amount and type of content they could access. The next few years of MMORPGs are not going to bring that evolution. The major games in development continue the same model of limited, rather small, end game content with some cases of larger pieces of content more players can engage in. One major game in particular is trying to add some truly epic fights with massive numbers of players which I am looking forward to but that is only a step in the direction that ultimately I think needs to be headed in. What are your thoughts? Does the size of end-game content (whether that be raiding or pvp) affect the success of the overall community? Is larger raid size a better solution than smaller? Is there a compromise somewhere in between? If so where? Or is a technological solution needed... one that is beyond reach right now but once someone funds the R&D and creates it could/would allow for a much more dynamic (yet equally rich and rewarding) end game experience. In short: Does size matter? And if so, what is the right size?